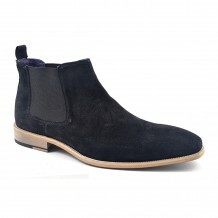 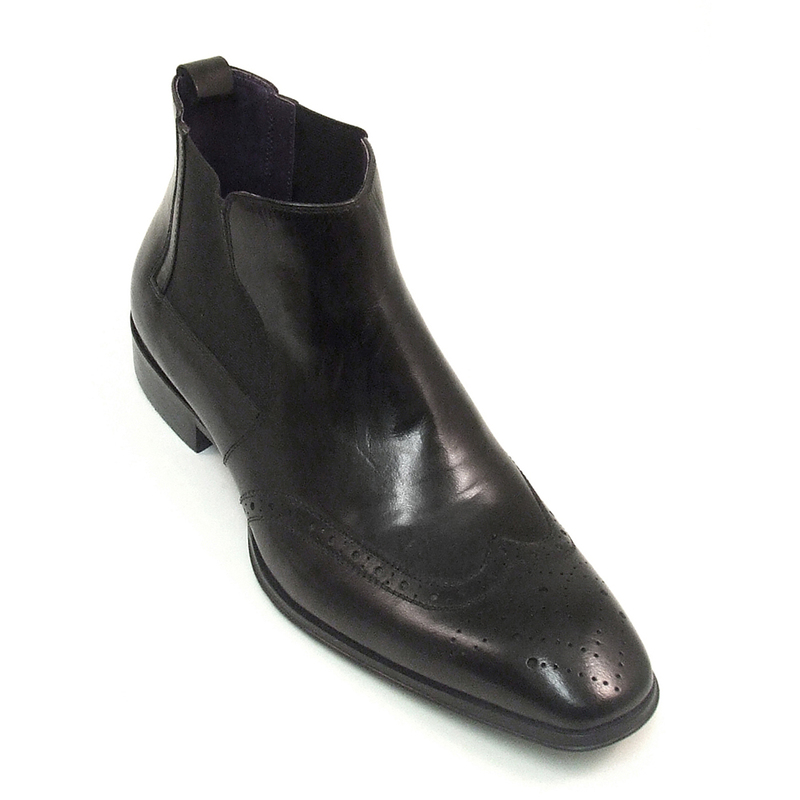 Black polished leather chelsea boot with punch out brogue detail to beak toe. 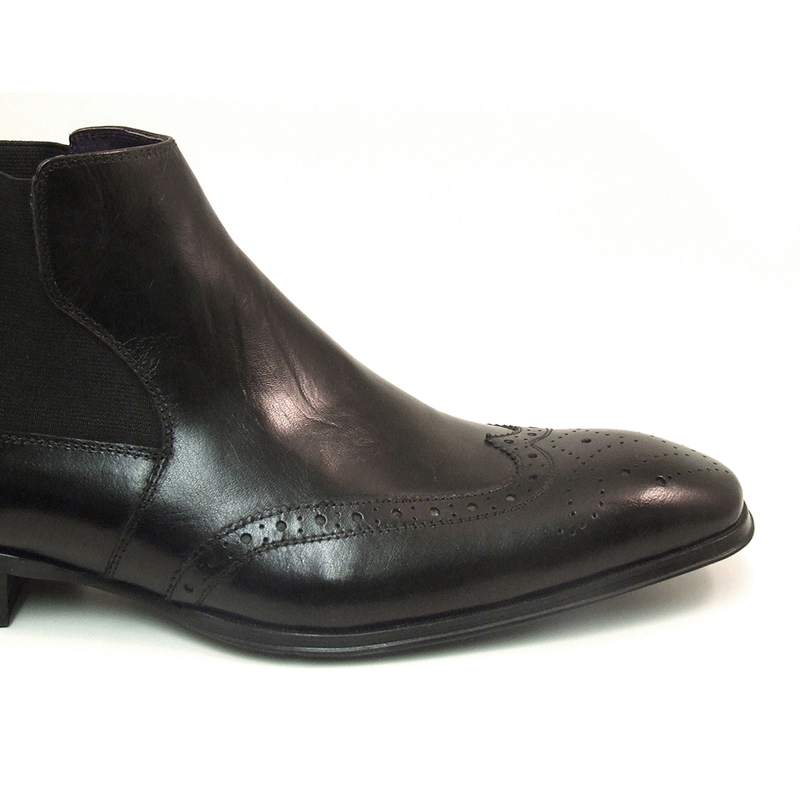 It is a pull-up boot facilitated by a black gusset to the side. 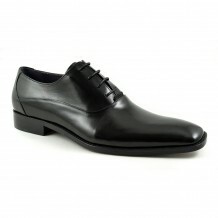 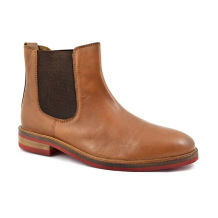 It is great as smart casual footwear worn by men by footwear designer Gucinari. 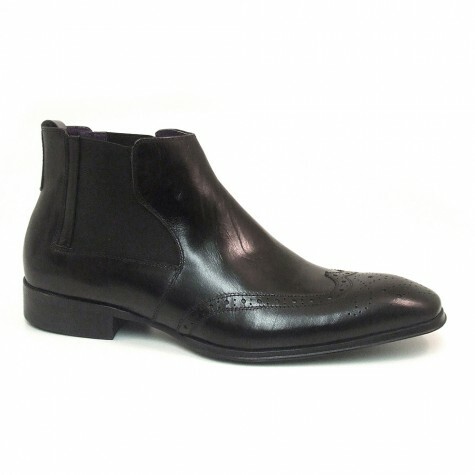 Be the first to review “Loch Black Chelsea Brogue Boot” Click here to cancel reply.